Venture to a peaceful island. Explore a variety of coves. Discover the native marine-life. 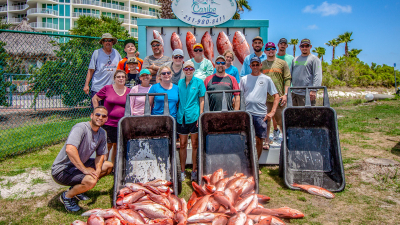 At Caribe Marina, we boast an array of laid-back to action-packed adventures. 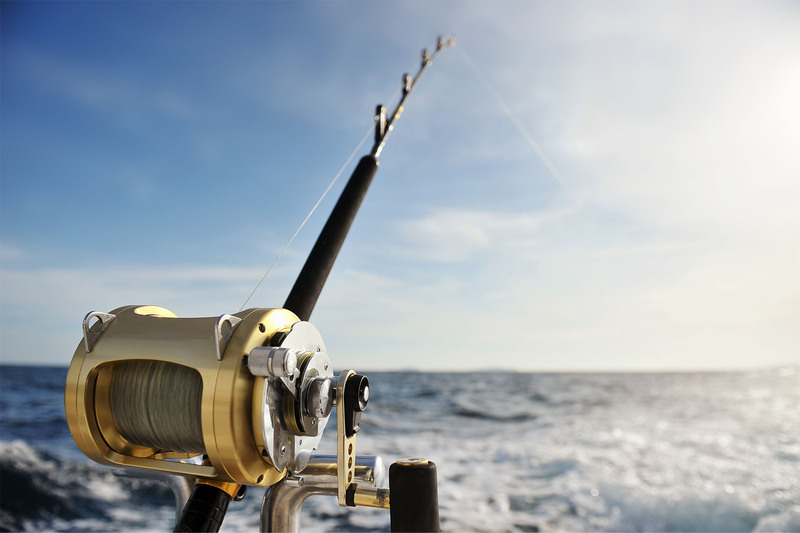 We offer jet skis, pontoon boats, dolphin tours, deep sea and inshore fishing, and more. Looking for adventure? We’ve got you covered. LIVE BAIT. LOW GAS PRICES. 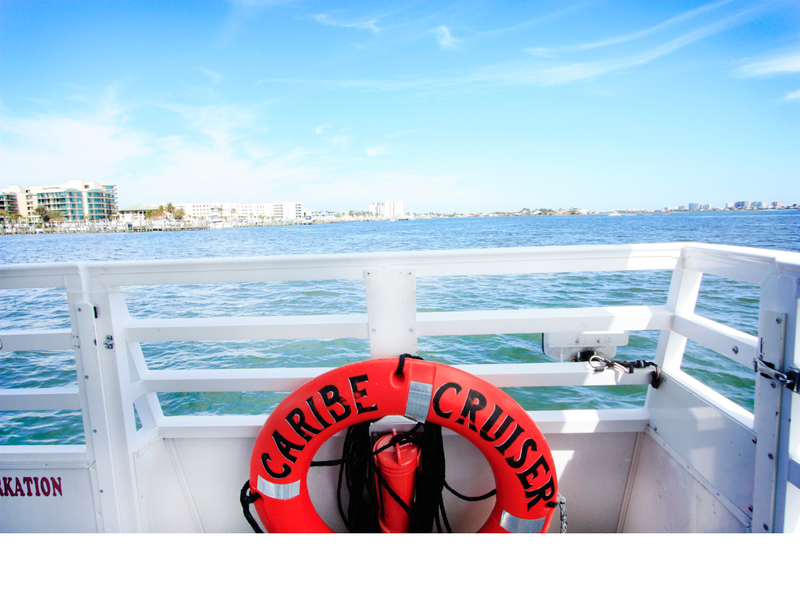 Climb aboard the Caribe Cruiser and explore Perdido Pass. Watch dolphins jump and play on our 51 ft. covered pontoon boat and discover the local waters as Captain Steve guides you and your group with fun facts about the area. JET SKIS, KAYAKS, AND MORE. Rent a pontoon boat and spend the day on the water. 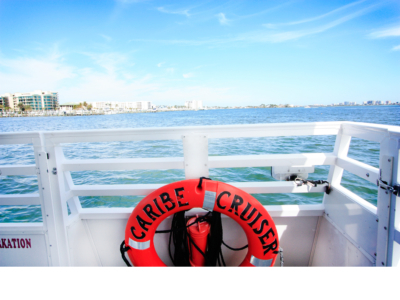 Our boats range from 20’ to 26’ and are available for half and full day rentals. Want a little extra fun? Check out our pontoon slide boats! Mark made his home in the area over 25 years ago. 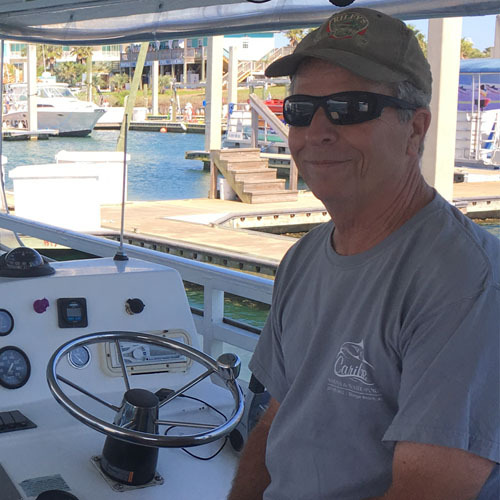 After a career in nautical charting he began to share his love for the natural world with visitors through eco/dolphin tours. He has been a USCG licensed captain for over 20 years. 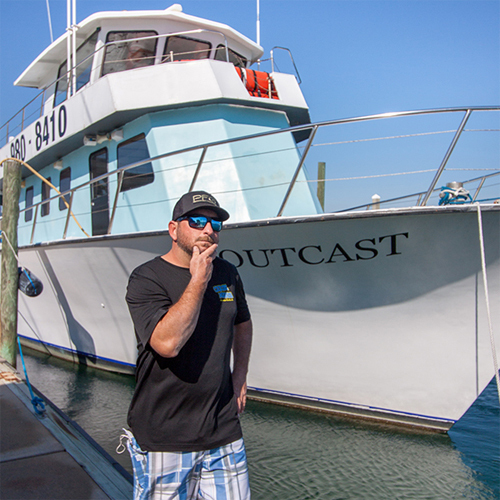 Seth grew up in Pensacola, FL and began his career working on fishing boats in 1992. He became a captain in 2008 with a 6-pack license and upgraded to a 100-ton master in 2012. Seth has been married to his wife, Amanda, for over 10 years. They have two boys, 11-year-old Seth David and 5-year-old Eli Michael. 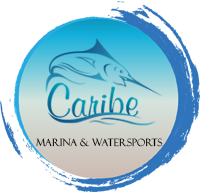 Stay up to date with events at Caribe Marina and the local area.